Home > Blog > Community Journal: Just Keep Swimming! May was an exciting time for us, we hope you all enjoyed the events and all the excitement that was had! Here’s what happened during the last month. The Tribemoji contest concluded, with Elsy winning the grand prize. Her winning entries were added to our official Discord server. Type her name with the ":" to find them! Our Adventure A Sense of Identity was successful and completed. We launched our 2nd Kickstarterversary with fabulous new water-based transports and a whole lot more! As of this writing, the community achieved over 250k in milestones. This means you earned all the way up to the Expanded Housing, congratulations and thank you! With less than a day to go before the end of the event, you might just make it to the Soul Pack! To go along with the Kickstarterversary promotion, we added a milestone and stretch goal tracker giving the community a chance to earn even more awards and exciting benefits! The team set off on our latest Adventure to Ready the World. 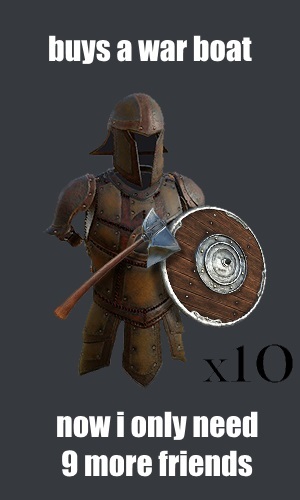 See what is being polished and prepared for our first players to participate in testing! Read the blog update from Caspian here. We hosted a live Twitch Q&A on World Generation with Caspian, Vye, and Souzou. Watch it again on YouTube! The Kingdom of Bordweall treated the entire studio to a delicious lunch from a nearby specialty sandwich shop. See pics and read about this awesome gift! Our newest community program, the Subject Matter Experts, launched and became available for community members to start applying! 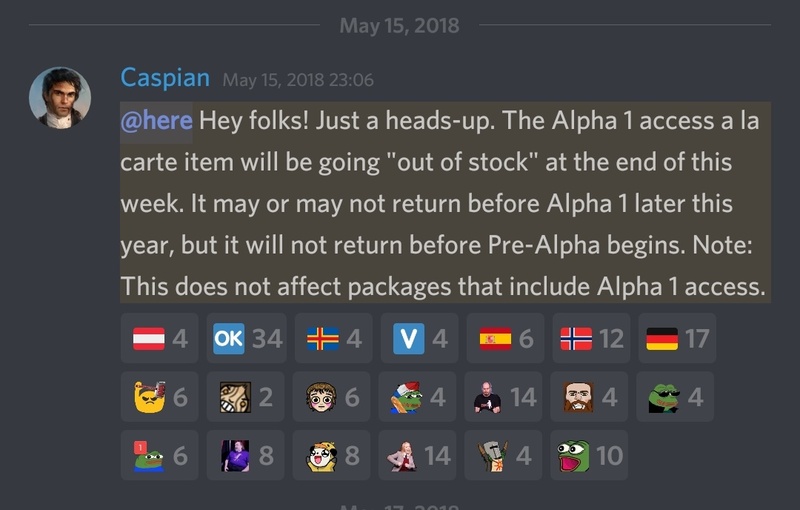 We announced that Alpha 1 a la carte went away via an Official update from Caspian in Discord. Our favorite Lead Designer and Revival emigrant Snipehunter held a very interesting and informative Q&A interview on a new streaming show, TheoryForge. If you missed it or want to watch again, find it here. Our Tribal Clothing concepts finished with the reveal of The Waerd clothing. Vye also shared some fun facts about The Waerd, read the article here. As I said, busy month! As a new feature to our Community Journal, each month we'll spotlight one or two of our favorite memes that were shared via the forums or Discord. This month, we share 2 favorites. One is an example of a fan-made fan starter pack, the other shows the creativity our community members have. "This is why we cannot have nice things:"
Wanted: 9 raiders who are trustworthy, dedicated, and fearless! This month Caelestius interviewed veteran moderator Artsykidd, who some of you may know as Lucifer on Discord. Q: You’re known as Lucifer on Discord and ArtsyKidd on the official Forums – why two names, and where did they come from? A: "The name Artsykidd is one that I’ve been using for nearly ten years now. I’d always used really stupid names like, ShadowIceFlame or…SonicxFlame… Being a creative individual; a musician, writer and former artist, I thought it fitting to use the word Artsy. The ‘Kidd’ came from the basketball player, Jason Kidd, cause…you know, I had to be cool and all that jazz. Now, though the name Artsykidd is more characteristic, it’s not really fitting for the name of a character. I always felt the name Lucifer had too much of a bad rep despite it having a good meaning, which I find sort of unfortunate. I also enjoy explaining that the meaning of the name is the complete opposite of how they associate it. 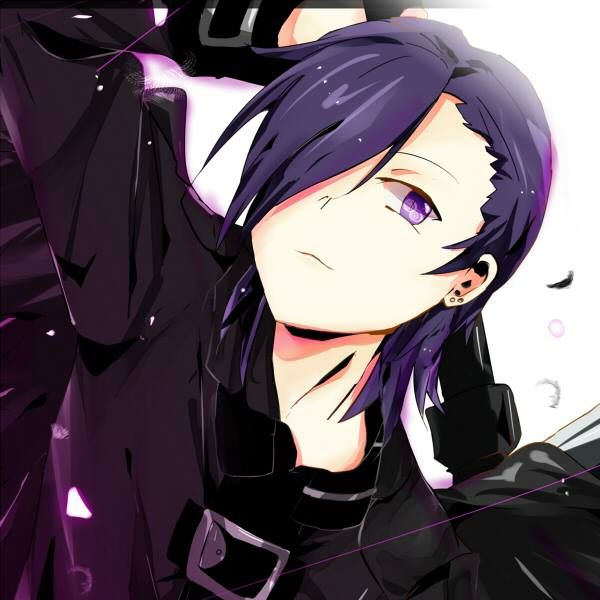 I was mostly inspired to use it by the anime ‘The Devil is a Part-Timer’ cause Lucifer (Hanzō Urushihara) is one of my all-time favorite characters." A: "I can’t really say. I’ve only ever had a cat, and the few experiences I’ve had with dogs haven’t exactly been…pleasurable, but they both have their qualities. I’d say cats for their solitude and independence and dogs for their loyalty and friendliness." Q: Favorite thing about being a mod? A: "I like how involved we get to be in the community. We may not be members of the studio, but we get to be instrumental in a lot of the changes that take place and the It’s what I like best about working with Serp; he doesn’t just tell us what to do, he seriously considers our input and it really makes a difference, both for the team and the community." A: "There are some people who make me want to go bang my head on a wall for a few hours, but that’s just the way it goes." Q: Kanye or Childish Gambino? A: "Assuming that question actually needs to be answered, totally Kanye. (That was sarcasm.) Yeah….no, Childish Gambino of course–I don’t even understand how that needs to be said." A: "While I use Android, I really can’t stand it. If I had the money, I’d go back to iOS in a heartbeat, I love Apple and I’ve never had a problem with it." A: "Purple – always has been, always will be." Q: What’s your ideal vacation? A: "I’ve always wanted to visit Italy, it’s a country so awash with culture and simply beautiful. However, I’m not sure it’d necessarily be my ideal vacation. I’m more keen on travelling throughout East/Southeast Asia—something I intend to do in the near future; countries so deeply rooted in tradition, awe-inspiring landscapes, and beautiful languages. I can’t wait for the opportunity, although I’m not certain you’d call that a vacation… If not, then still Italy, I guess." Q: What are you most looking forward to in Chronicles of Elyria? A: "Everything, really. On paper, CoE is the game that I’ve been waiting for my whole life. I’ve never really like MMORPGs because they were always so linear. I’ve always felt that I might as well be playing a single player game if my experience was just going to be the same as everybody else. The beauty of CoE is in how each player’s story will be unique and rather than fitting into a pre-determined mold like most MMORPGs do, I get to decide who my character is, for real." Q: Where’s the furthest you’ve been from home? A: "I think Florida. My high school band would tour throughout North America during spring break, so we visited a lot of cities, but I think Florida was the furthest we’d gone." A: "Legend of Zelda, hands down. I love the whole series, but Twilight Princess if I have to choose. The first time I played it on Game cube, I spent days finishing it and it was probably one of the most fulfilling game experiences I’ve ever had. After finishing it, I spent hours on end listening to the soundtrack and ultimately, the Legend of Zelda series was what inspired me to become a film/video game composer." Thank you Artsykdd for letting us get to know you a little better! Each month we spotlight an organization from our community. Previously we alternated each month between a kingdom and a guild or association. With only so many of these Journals remaining, we decided to double down and now we’ll be covering both a Kingdom and an Organization each month. When and how was it founded: "The founding of The Crows lies deep in the shadows of Selene’s history. All we know is that it was many, many moons ago because my father and his father’s father throughout the ages have always been Crows." 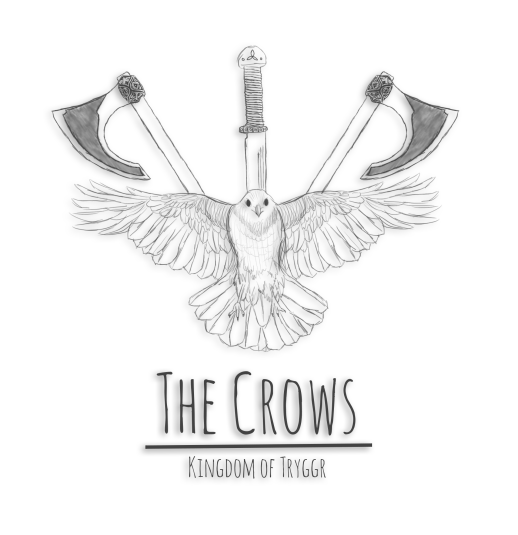 "The crest of The Crows can be found in many history books, chiseled or carved into historic buildings in shadowy places. The Crows true legacy tho is the legends that have spread about the organisation. The impressions imprinted on the minds of its victims." "What we do know is that you can’t learn the way of The Crows. It comes from within, it’s in your soul and when the time is right it will show itself." Who leads the Organization? : "Myself and Baroness Skuld Ironside are incharge of all units within Nova, but each unit does have a head, The Crows head is PlagueCrafter. Even though every major decision has to go through me or Skuld, I trust PlagueCrafter to be incharge and make the right decisions when myself or Skuld is not around. He already has played a major role already with things such as recruiting and the day to day runnings of The Crows. I made the right call in promoting PlagueCrafter to the Head Crow position and we will only grow stronger with him at the helm." What are the goals or purpose of the group? : "Our goal is to keep on learning the ways our forefathers wanted us to, advance our knowledge in the ways of skillful assassinations, collecting economic and military intelligence and then using that intelligence to create create cells that can carry out missions to disrupt our targets economic and military plans. Ideally, one of our most important goals would be to set up a counter espionage service that will help detect and thwart out enemy agents that not just wishes Nova harm, but the whole Kingdom of Tryggr." Is there a group mantra/motto/value/proposition? A murder rustles, and takes flight. With barely any sound at all. They slumber, not to wake again. Bring the end of living things. With swift blade or subtle art. What you reap, is what you'll sow. Fun fact about the Organization: "The Crows was supposed to come from Odins Huginn and Muninn, but it turns out I was silly and didn't do my research properly as Huginn and Muninn are Ravens and not Crows, surprisingly the name stuck and here we are!" Thank you Dleatherus for providing us this insight! Goals of Kingdom: "CoE is a game centered around military, economic and political conflict. As the underdog on the NA-E server one of our goals is to create a culture where our members realize that it is far more advantageous to have fun practicing these aspects of the game outside of our borders rather than within them." "Join our Discord to find out what some of our other goals are!" Fun Fact: "On a daily average in our discord, 7 cookies are thrown, 3 people are bitten by dragons and 36 cups of coffee are consumed - stop by to find out why!" 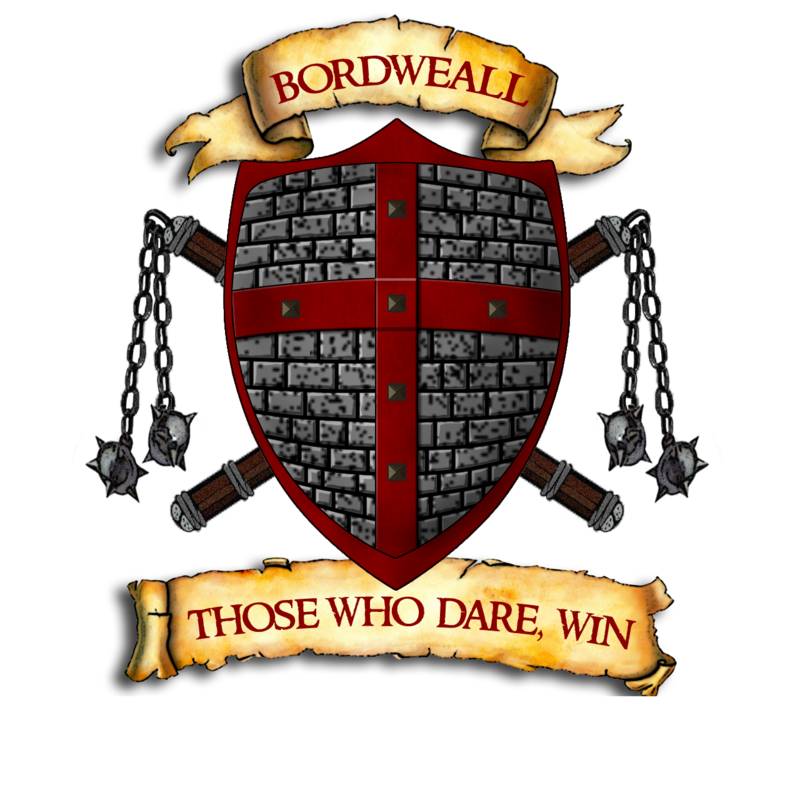 To learn more about Bordweall, reach out to this community via the links above. Special thanks to Noslim for collecting this info for us! Fenrer's sketch of a tree castle and some servant housing. To see more, Fenrer shared their "half-assed art" which includes the above image via this forum thread. Count Blackshoes of Mirrorvale shares: "If all the world is a stage then a Mannequin Mann of Elyria is always at the center of it. For a modest fee based on time and risk, A Mannequin Mann will (with your consent and a valid contract) take your place for the agreed on event or length of time." "Services can be negotiated in a wide range of applications which include:"
"With plans for playhouses on NA-West and East we aim to be available to fulfill any reasonable contract." For more details, visit their site here. Chimaera Corbeau (Eyes of Cimeies on Discord) was commissioned to design this beautiful in-game portrait of Matriarch Morrigan. Duke Hajime of Oceanus shared his "The Complete Guide For All Your Medieval Apothecary and Herbalism Needs." Compiled from a variety of sources including his professional knowledge and expertise, it contains a plethora of contemporary pharmacopoeia and pharmaceutical formularies. To learn more, check out the post. On the first Friday of the month they have domain recruitment for kingdoms, duchies, counties, etc. On the third Friday of every month they do organization recruitment; guilds, schools, associations, and the like. Normal subreddit rules apply otherwise. Domain recruitment has been quite busy since this started, but we'd love to see more organizations take part. 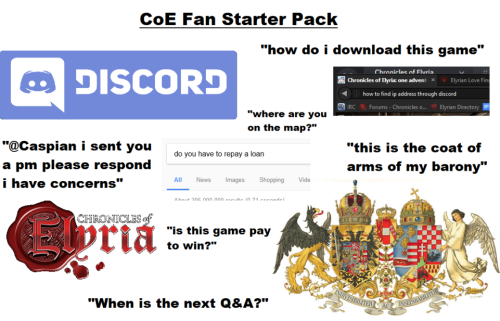 If you're keen on free promotion and witty banter, head over to the CoE SubReddit and participate, you never know what interesting discussions you'll find yourself in! Lastly, we need a third MOD on our SubReddit, so if you are active on Reddit and think you've got what it takes, contact Mickdude or Hellmoon today! New this week is TheoryForge. This veteran team of streamers began a new show on Friday, May 10th, focusing on Chronicles of Elyria. The current hosts have all purchased packs with Alpha I access, and are excited to become more active members of the community. "We are drawn to CoE because of its unique mechanics, and the migration of the Revival community." We love running contests and promotions for our players, but it turns out our players love running them as well! To aid you in keeping track of all of the different contests or events at any given time, we've summarized them into one directory and stickied it in our General Discussion forum. This program launched earlier this month, with 5 types of experts requested during the 1st round of this new program. Of the areas we seek involvement, 13 applications were submitted to us and are currently under review. Additionally, 15 more applications were submitted that do not currently meet the criteria we are looking to engage with at this time. We kept them nonetheless and will utilize them at a future date when those areas of interest are in need. Thank you to everyone who has agreed to participate thus far, I expect to start reaching out to those 13 whose apps are under review in the 1st two weeks of June, we appreciate your patience! We may decide to host a public Q&A on our Twitch channel in the future. Stay in touch so you don't miss it! The Mydarri story that was promised for achieving the 250k milestone in the Kickstarterversary is coming soonTM. We are planning a special live Q&A and ChamberBot session with a surprise developer, stay tuned to learn more! Keep yourself in the know via the forums or Discord so you don't miss out on any of the exciting events planned for the next few months. Excellent month! Cant wait to see what June brings. Surname selection is definitely entertaining. Some great creativity there. 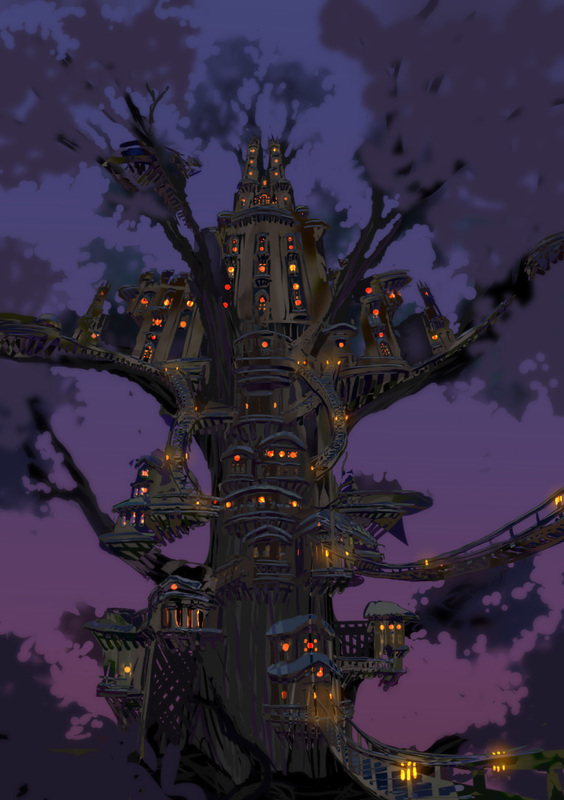 Oh and that treehouse. Cant wait to stumble upon that in game. Keep up the great work! great to find out about a new coe discussion show. there's also Tavern Talk with Jax and Gora, and Vendor Trash. why not list those shows in these posts? snipehunter, nice interview. it's always really interesting to hear you talk about the game. great to find out about a new coe discussion show. there's also Tavern Talk with Jax and Gora, and Vendor Trash. why not list those shows in these posts? snipehunter, nice interview. it's always really interesting to hear you talk about the game. Great that the Kickstarterversay went well. I'm hoping that the primary mechanics of the Game can once more be pushed to the forefront, and we can get Alpha access soon? While the programming is a slow and arduous task - Our community I'm sure is chopping at the Bit to start contributing in anyway they can to the Game Play aspects! Thanks for the mention Serpentius and SBS, much appreciated. I look forward to finishing my work on the The Simplified Elyria Medica soon, once life settles down a little. Ralph Wiggum; I won, I won!!! Principle Skinner: No... No Ralph, this means you're failing English! Ralph Wiggum: Me fail English? That's unpossible!! Yay!!! I'm famous!!! Thanks for the mention Serpentius and SBS, much appreciated. I look forward to finishing my work on the [The Simplified Elyria Medica](https://chroniclesofelyria.com/forum/topic/22310/the-simplified-elyria-medica) soon, once life settles down a little. to quote The Simpsons: Ralph Wiggum; I won, I won!!! Principle Skinner: No... No Ralph, this means you're failing English! Ralph Wiggum: Me fail English? That's unpossible!! I thought it strange too, but I'm sure they are working on it. Posted By **Barlin** at 05:46 AM - Sat Jun 02 2018 > > Why aren t there any news after the event ended ???? This is some weird behaviour... I thought it strange too, but I'm sure they are working on it. There isn't anything complicated about it, Wargasm. You request a name. SBS reviews it. If they approve, it's yours, exclusively, in-game, forever. The obvious reason why "Gasm" as a last name would not be approved is because then it permits a first + last combination of "Or Gasm" and similar quasi-lewd variants. That's obviously something trollish and un-serious that SBS doesn't want to allow into the world, understandably. You beat me to it. I just wonder why "Gasm" didn't think of that combination. Do we really look that gullible? Posted By **Hieronymus** at 6:32 PM - Fri Jun 01 2018 > > There isn't anything complicated about it, Wargasm. > > You request a name. SBS reviews it. If they approve, it's yours, exclusively, in-game, forever. > > The obvious reason why "Gasm" as a last name would not be approved is because then it permits a first + last combination of "Or Gasm" and similar quasi-lewd variants. That's obviously something trollish and un-serious that SBS doesn't want to allow into the world, understandably. > > Not. Rocket. Science. ;) You beat me to it. I just wonder why "Gasm" didn't think of that combination. Do we really look that gullible? Im Gasm.. ive used the same name for 20 years in dozens of mmos and paid all this money to reserve a name for what? Do all the names really have to be RP names? if so, you might want to say so in your guidelines. Are you going to enforce this on launch? i highly doubt you are going to process thousands of names as people make them, or is there going to be a waiting/approval period to create a character? Im Gasm.. ive used the same name for 20 years in dozens of mmos and paid all this money to reserve a name for what? Do all the names really have to be RP names? if so, you might want to say so in your guidelines. Are you going to enforce this on launch? i highly doubt you are going to process thousands of names as people make them, or is there going to be a waiting/approval period to create a character? It will be easy to enforce that at launch. The store wil be closed after the Exposition and only those that have a Bloodline Pack+ or bought the perk, have in individual surname. Those who come after release, will enter our families, or NPC families and will have random tribe spezific surenames. When it comes to first names, I doubt that the Devs will use the same system, but they might use the option that you can ask a GM to loom if someones name is fitting or not. Posted By **Wargasm** at 06:23 AM - Fri Jun 01 2018 > > Are you going to enforce this on launch? i highly doubt you are going to process thousands of names as people make them, or is there going to be a waiting/approval period to create a character? It will be easy to enforce that at launch. The store wil be closed after the Exposition and only those that have a Bloodline Pack+ or bought the perk, have in individual surname. Those who come after release, will enter our families, or NPC families and will have random tribe spezific surenames. When it comes to first names, I doubt that the Devs will use the same system, but they might use the option that you can ask a GM to loom if someones name is fitting or not. Well, I for one am glad they didn't let you in with the name "Gasm", and I'm looking forward to a game with the backbone to actually enforce a mature naming policy rather than letting crap like that in. It's sad, really, all the childish names people register in MMOs because they think they are being funny or cute or whatever. Get into the spirit of the game and be glad for the immersion they are actually trying to provide! Did you even bother reading them?... Guess not!! Posted By **Wargasm** at 12:23 PM - Fri Jun 01 2018 > > Im Gasm.. ive used the same name for 20 years in dozens of mmos and paid all this money to reserve a name for what? > > Do all the names really have to be RP names? if so, you might want to say so in your guidelines. > Did you even bother reading them?... Guess not!! My understanding is that surname reservation adds your name to the population. If you don't have a custom surname, or a friend that will allow you to use theirs, you'll choose to be part of a NPC family that already has a surname that has been created by SbS. At some point, buying a custom surname will be removed from the EP store. In other words, SbS is indeed controlling every surname that makes it into the game. This isn't your average MMO, if you haven't already guessed. This will be a living world with a history and family trees. Posted By **Wargasm** at 9:23 PM - Thu May 31 2018 > > Im Gasm.. ive used the same name for 20 years in dozens of mmos and paid all this money to reserve a name for what? > > Do all the names really have to be RP names? if so, you might want to say so in your guidelines. > > Are you going to enforce this on launch? i highly doubt you are going to process thousands of names as people make them, or is there going to be a waiting/approval period to create a character? My understanding is that surname reservation adds your name to the population. If you don't have a custom surname, or a friend that will allow you to use theirs, you'll choose to be part of a NPC family that already has a surname that has been created by SbS. At some point, buying a custom surname will be removed from the EP store. In other words, SbS is indeed controlling every surname that makes it into the game. This isn't your average MMO, if you haven't already guessed. This will be a living world with a history and family trees. Maybe you should work for SbS. If i had an explanation like that i would have not been so pissed off. All i got from SbS was "Sorry i cant help you" and "no one is able to"
It doesn't explain that when you are reserving the name and it doesn't explain it in the email that was sent. The rules are right on the surname reservation page. At the bottom of the page there, for future reference! I think it's a little like if random NPCs in a game were given silly or inappropriate names. It'd take you out of the story, and since players are supposed to be as part of the world as the NPCs, it's really important to keep that consistent and have fitting names that follow those rules. That immersive world has always been a theme with this game. Posted By **Wargasm** at 10:22 AM - Fri Jun 01 2018 > > Maybe you should work for SbS. If i had an explanation like that i would have not been so pissed off. All i got from SbS was "Sorry i cant help you" and "no one is able to" > > It doesn't explain that when you are reserving the name and it doesn't explain it in the email that was sent. > > I'm sure somewhere in the many many write ups it explains the surnames better. For someone who isn't reading every one. It is easy to assume that a surname is your own and doesn't have to do with other people having an option to pick it from a list [The rules are right on the surname reservation page. ](https://chroniclesofelyria.com/surname-reservation) At the bottom of the page there, for future reference! I think it's a little like if random NPCs in a game were given silly or inappropriate names. It'd take you out of the story, and since players are supposed to be as part of the world as the NPCs, it's really important to keep that consistent and have fitting names that follow those rules. That immersive world has always been a theme with this game. "The surname reservation and name generator tools we've provided are meant for you to creatively express yourself in the world of Elyria. But at the end of the day, we think it would be a poor player experience if vulgar words made it into the surname pool, as well as names that break the sense of immersion. So here are a few rules that are built into the surname reservation tool." They want names that reasonably fit into the world to not break the sense of immersion. That means 'RP' names, or names that you'd expect an NPC to reasonably have as well, names that fit in the world. They definitely mention it! Posted By **Wargasm** at 10:23 PM - Thu May 31 2018 > > Im Gasm.. ive used the same name for 20 years in dozens of mmos and paid all this money to reserve a name for what? > > Do all the names really have to be RP names? if so, you might want to say so in your guidelines. > > Are you going to enforce this on launch? i highly doubt you are going to process thousands of names as people make them, or is there going to be a waiting/approval period to create a character? On the surname generator page, they list the rules, including this tidbit: "The surname reservation and name generator tools we've provided are meant for you to creatively express yourself in the world of Elyria. But at the end of the day, we think it would be a poor player experience if vulgar words made it into the surname pool, as well as names that break the sense of immersion. So here are a few rules that are built into the surname reservation tool." They want names that reasonably fit into the world to not break the sense of immersion. That means 'RP' names, or names that you'd expect an NPC to reasonably have as well, names that fit in the world. They definitely mention it! My roommate was Dragangsta, I can't believe we made history. Good times, good month of updates and interaction with everyone at Soul Bound. Hope y'all continue to meet with us and keep the motivation going. heh, had to share that forever alone meme :) Good times, good month of updates and interaction with everyone at Soul Bound. Hope y'all continue to meet with us and keep the motivation going. Good job serp with the monthly updates. I always look foward to a good read. Hey look, that's me <3 Good job serp with the monthly updates. I always look foward to a good read. Some of those rejected names.. Thank you for a wonderful month!